St Pauls Chambers' barristers are recognised legal experts with vast experience of inquests. The team provides advice and representation from initial contact with the coroner, disclosure, pre-inquest reviews and the final hearing. 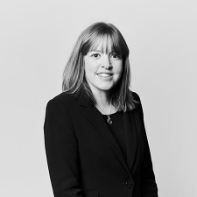 We have specialist barristers in other complementary areas of law, such as regulatory and disciplinary, personal injury, clinical negligence, which enables Chambers to provide clients with advice and representation to potential witnesses who may be at risk of prosecution and in relation to potential claims post-inquest. For more information about the experience of our Silks and Juniors, Contact the Clerks and for further information on legislation please visit The Coroners (Inquests) Rules 2013. 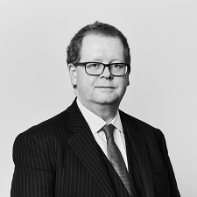 We have a wealth of expertise including four silks and six juniors all of whom have proven knowledge and experience in coronial law and the body of law expounding the effect of Article 2 of the European Convention on Human Rights on the Inquest process. Inquests in the Coroner’s Court take place where a death was sudden, violent or unnatural; a death occurred in police custody; or where the cause of death remains unknown following a post-mortem examination. The purpose of an inquest is to determine who the deceased was, and how, when and where he or she came by their death. Resolving the issue of how the deceased died involves ascertaining the cause of death. In cases in which Article 2 of the European Convention on Human Rights is engaged, the resolution of how the deceased died is expanded to include the circumstances in which death occurred. This often involves investigating whether systemic failings contributed to death. A public inquiry is an official review of events or actions ordered by a government body. Its conclusions and recommendations are then published in a written report. Those with a legally recognised interest in an inquest or public inquiry (known as “interested persons” in an inquests and “interested parties” in an inquiry) are entitled to be present and participate in the proceedings. In an inquest, that includes the right to ask questions of witnesses who are called to give oral evidence. At St Pauls we have experience of representing every category of interested person. We recognise that bereaved families often want (and deserve) answers, and our members do their best to obtain those answers when acting for the deceased’s loved ones. We also recognise that other categories of interested person for whom we act – most regularly police officers, police forces and medical professionals – require their rights and dignity to be fearlessly safeguarded in circumstances where they face potential criticism or even worse. 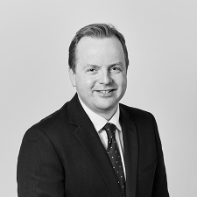 The team is led by Sam Green QC, who recently represented the Police Federation of England and Wales in the Hillsborough Inquests. Jonathan Sandiford and Jeremy Barnett also appeared on behalf of other interested persons at those inquests, which were the longest running in English legal history. Recent other inquests in which Chambers have acted have included: representing two general practitioners in the first even inquest arising from a stillbirth in Northern Ireland; acting for a surgeon after two patients died following post-surgery complications after laparoscopic cholecystectomy; and representing a consultant psychiatrist in a double-inquest arising from a mother with serious mental health issues smothering her own daughter then taking her own life. Recent public inquiry experience includes acting for a Clinical Director, a consultant paediatric cardiologist and a consultant paediatrician at the Inquiry into Hyponatraemia-related Deaths in Northern Ireland. The report of Mr Justice O’Hara is still awaited.